Las Vegas, NV, USA - January 07, 2016 - The latest game-changing innovations revolutionizing our world took center stage on opening day of CES 2016. More than 3,600 exhibitors unveiling new products on the largest show floor in CES history - spanning more than 2.4 million NSF - and keynotes from the leaders of Netflix, GM and IBM kicked off the world's largest innovation event. Gary Shapiro, president and CEO, Consumer Technology Association (CTA) , officially opened CES 2016 on the keynote stage following a musical performance by Lexie Hayden, winner of the CES Music Contest. 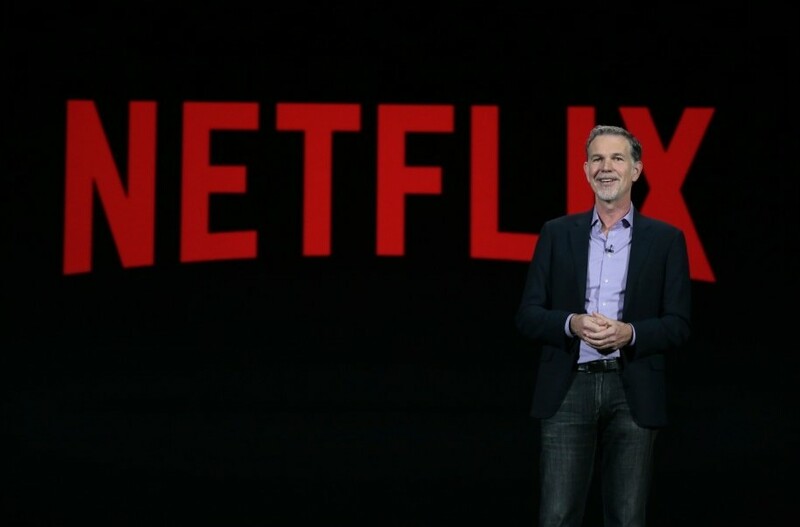 Reed Hastings, co-founder and CEO of Netflix, followed with his opening keynote during which he and Ted Sarantos, chief content officer, Netflix, announced several new Netflix Original Series airing in 2016. Hastings finished his keynote by announcing that while he was speaking, Netflix became available in 130 new countries, including India, South Korea, Turkey and Poland. Mary Barra, chairman and CEO of General Motors, introduced the 2017 Chevrolet Bolt EV, a fully electric vehicle that can travel 200 miles on a single charge and is slated to go into production this year. 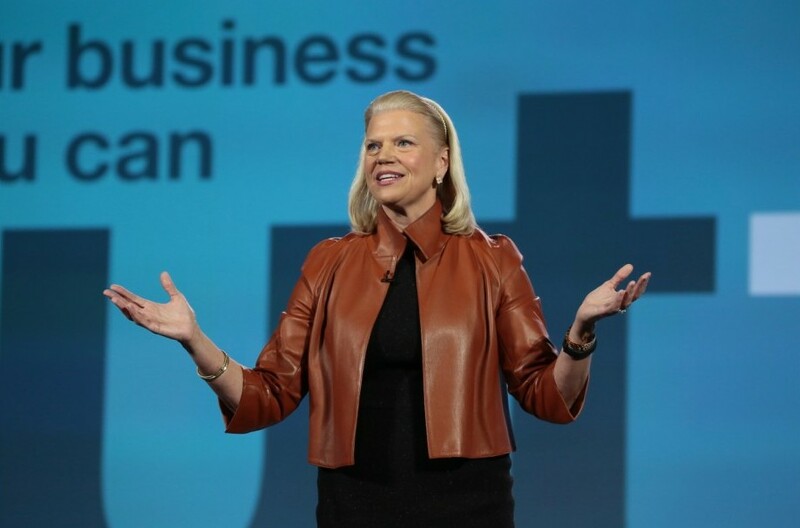 Ginni Rometty, chairman, president and CEO of IBM, concluded Wednesday's keynote lineup discussing IBM's role in the next phase of the Internet of Things (IoT): cognitive computing. 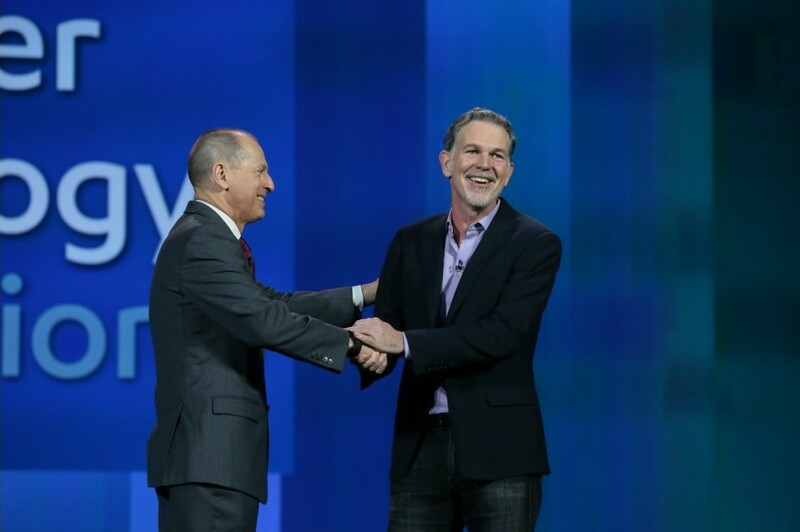 Netflix CEO Reed Hastings cuts the ribbon to officially open CES 2016. 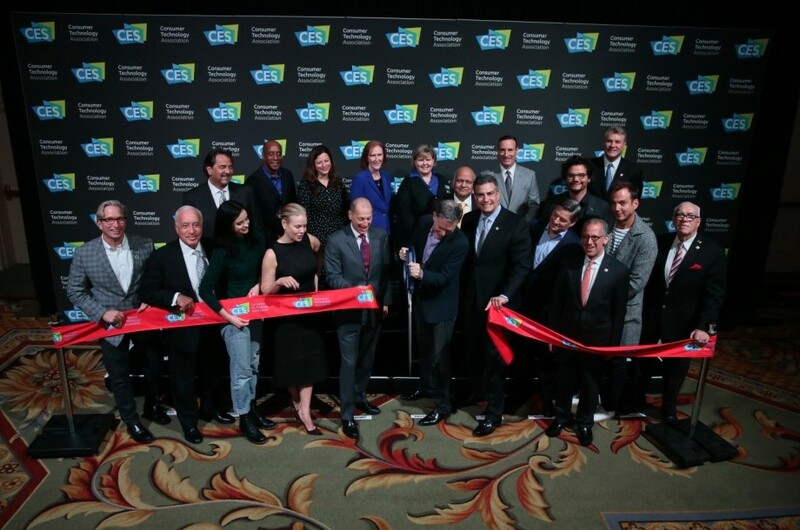 The latest game-changing innovations revolutionizing our world took center stage on opening day of CES® 2016. More than 3,600 exhibitors unveiling new products on the largest show floor in CES history – spanning more than 2.4 million NSF – and keynotes from the leaders of Netflix, GM and IBM kicked off the world’s largest innovation event. 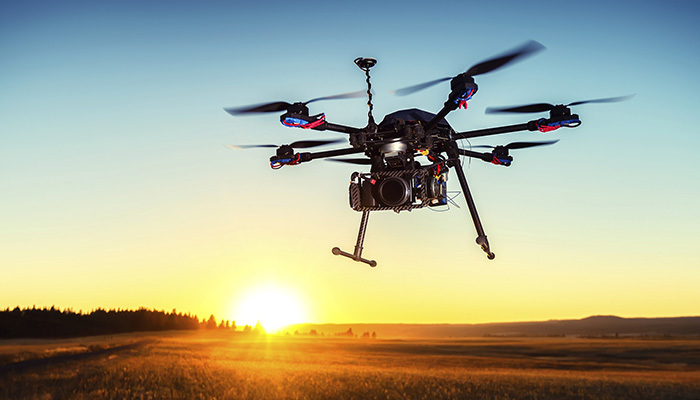 Delivering food, medicine and improving communications, unmanned systems technologies have the power to change our world. Owned and produced by the Consumer Technology Association (CTA)TM, formerly the Consumer Electronics Association (CEA)®, CES 2016, the world’s gathering place for all who thrive on the business of consumer technologies, runs through Saturday, January 9, in Las Vegas, Nevada. Doctors are Using 3D Printing to Help Them in the Operating Room. Gary Shapiro, president and CEO, Consumer Technology Association (CTA)TM , officially opened CES 2016 on the keynote stage following a musical performance by Lexie Hayden, winner of the CES Music Contest. 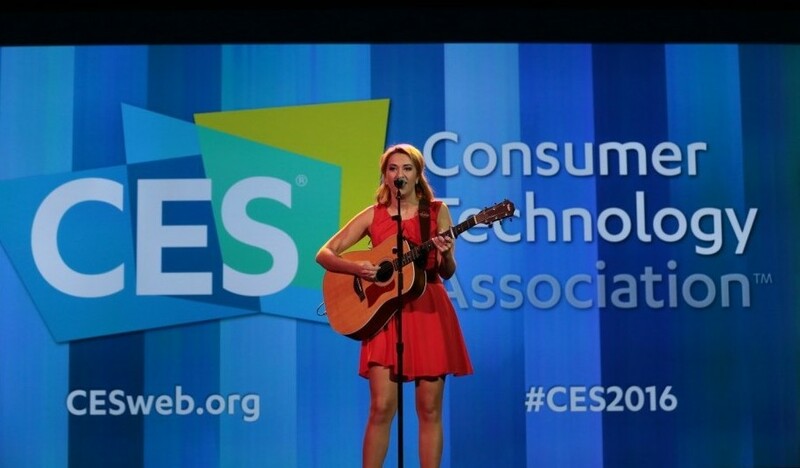 Lexie Hayden performing her song, “When I’m With You” at the CES 2016 opening keynote. Shapiro welcomed a standing-room only audience to the world’s global stage for innovation and highlighted the many ways technology is changing the world and solving some of the planet’s most complex problems through revolutionary products and services such as drone delivery, automated driving, the sharing economy, 3D printing and more. 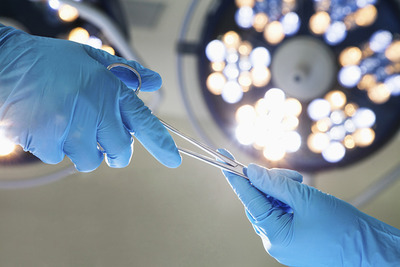 Oncologist is Using Revolutionary Tech to Treat Cancer. He shared his vision of a connected world that is changing rapidly as “billions of intelligent products and services are now woven into the daily fabric of our lives,” connecting each of us to these products and services, but more importantly, to each other. From preventing accidents to improving passenger safety, car technology is changing the world. 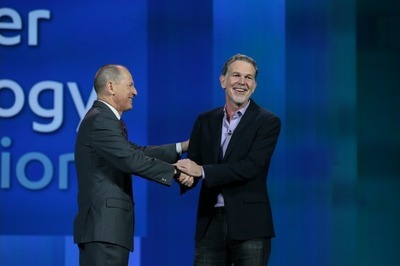 Gary Shapiro welcomes Netflix CEO Reed Hastings to the stage. Reed Hastings co-founded Netflix in 1997. In 1991, Reed founded Pure Software, which made tools for software developers. Reed is an active educational philanthropist and served on the California State Board of Education from 2000 to 2004. He is currently on the board of several educational organizations including CCSA, Dreambox Learning, KIPP and Pahara. Reed is also a board member of Facebook, and was on the board of Microsoft from 2007 to 2012. Reed Hastings, co-founder and CEO of Netflix, followed with his opening keynote during which he and Ted Sarantos, chief content officer, Netflix, announced several new Netflix Original Series airing in 2016 including The Crown, a biographical story of Queen Elizabeth II and Baz Lurhmann’s The Get Down, a story about urban youth in The Bronx. Netflix CEO Reed Hastings takes the stage. Sarantos welcomed stars from several Netflix Original Series including, Chelsea Handler (Chelsea Does), Will Arnett (BoJack Horseman & Flaked), Krysten Ritter (Jessica Jones) and Wagner Moura (Narcos), who discussed the creative freedom given by Netflix to create original content. Hastings finished his keynote by announcing that while he was speaking, Netflix became available in 130 new countries, including India, South Korea, Turkey and Poland. GM CEO Mary Barra displays a car onstage at CES 2016. Mary Barra is Chairman and Chief Executive Officer of General Motors, a position she has held since January 15, 2014. Under her leadership, GM is driving to become the global industry leader in automotive design and technology, product quality and safety, customer care and business results. Barra began her career with GM in 1980 as a General Motors Institute (Kettering University) co-op student at the Pontiac Motor Division. After graduating in 1990 with a Masters in Business Administration from the Stanford Graduate School of Business, she held several executive level positions within GM before becoming CEO in 2014. 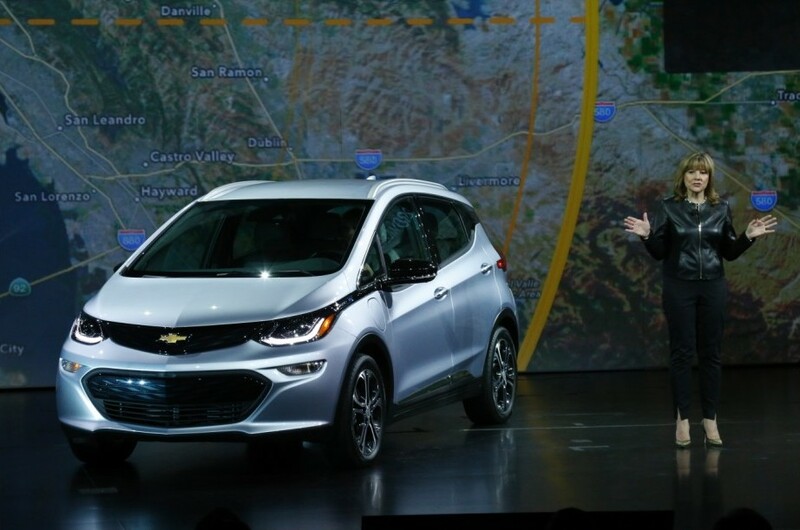 During the Wednesday afternoon keynote, Mary Barra, chairman and CEO of General Motors, introduced the 2017 Chevrolet Bolt EV, a fully electric vehicle that can travel 200 miles on a single charge and is slated to go into production this year. 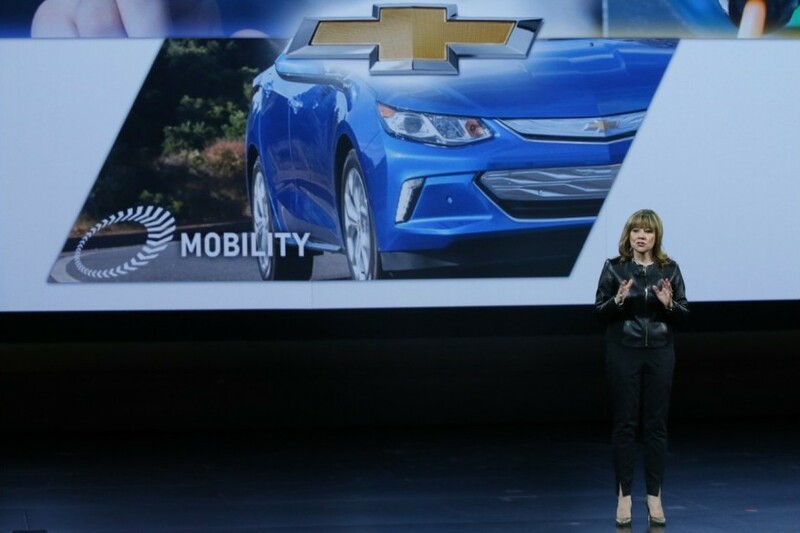 GM CEO Mary Barra takes the CES 2016 stage at the GM Keynote. “The Bolt EV is truly the first electric vehicle that cracks the code of long range and affordable price,” Barra said. Ginni Rometty, chairman, president and CEO of IBM, concluded Wednesday’s keynote lineup discussing IBM’s role in the next phase of the Internet of Things (IoT): cognitive computing. Gary Shapiro welcomes IBM CEO Ginny Rometty to the stage. Mrs. Rometty was appointed President and CEO on January 1, 2012 and became Chairman of the Board of Directors on October 1 that same year. Mrs. Rometty began her career with IBM in 1981 in Detroit, Michigan and since then has held a series of leadership positions in IBM, most recently as Sr. VP and Group Executive, IBM Sales, Marketing and Strategy. 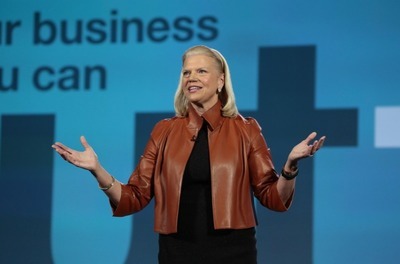 In this role, she was responsible for business results in the 170 global markets in which IBM operates and pioneered IBM's rapid expansion in the emerging economies of the world. Prior to this, Mrs. Rometty served as Sr. VP, IBM Global Business Services, where she led the successful integration of PricewaterhouseCoopers Consulting. This acquisition was the largest in professional services history, creating a global team of more than 100,000 business consultants and services experts. She said the challenge of IoT today is making sense of all the data we’re creating and capturing. “The future of the Internet of Things is cognitive,” Rometty said. 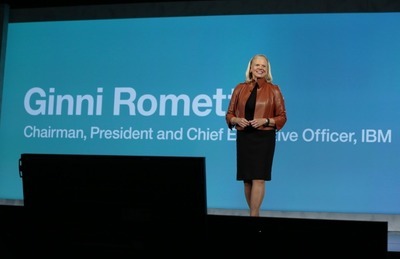 IBM CEO Ginny Rometty onstage at the IBM Keynote at CES 2016. 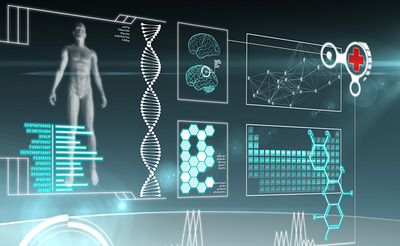 Rometty announced partnerships with Under Armour, Medtronic and Softbank Robotics, who are all using Watson, IBM’s computing power technology that makes sense of data generated by connected devices. 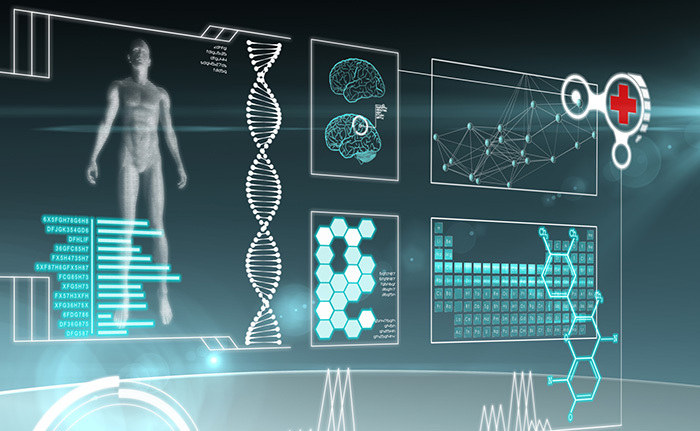 Shapiro opened IBM’s keynote by announcing a research partnership between the CTA Foundation and IBM to study how cognitive computing will transform our lives as we age and transform the lives of those living with disabilities. 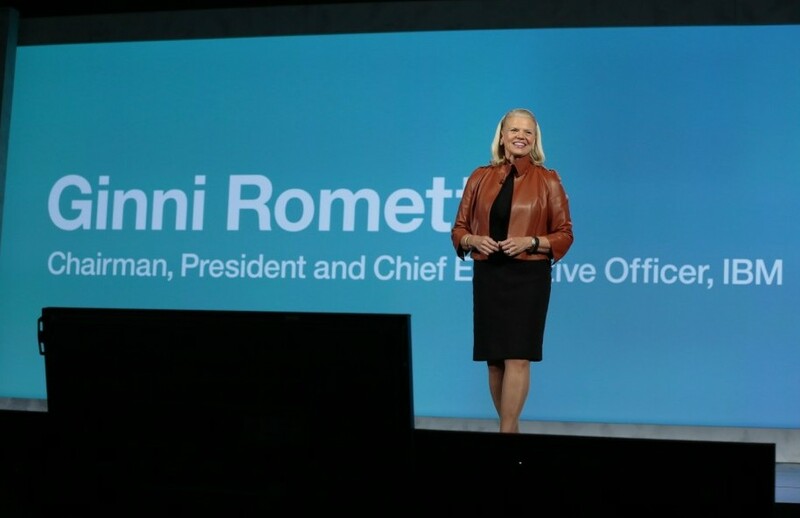 IBM CEO Ginny Rometty takes the stage at CES 2016. Opening day of CES 2016 also featured dynamic SuperSessions and conference panels discussing the latest trends and public policies covering the entire spectrum of consumer technology. The IBM Keynote at CES 2016. During the Insights with the FCC and FTC SuperSession, Federal Communications Commission (FCC) Chairman Tom Wheeler discussed the value of spectrum in supporting IoT connectivity and the significance of the upcoming wireless spectrum auction. The Honorable Tom Wheeler, Chairman Federal Communications Commission and Gary Shapiro, president and CEO of the Consumer Technology Association. “Eighty-four days from today there will be the world’s largest spectrum auction that has ever taken place,” Wheeler said. 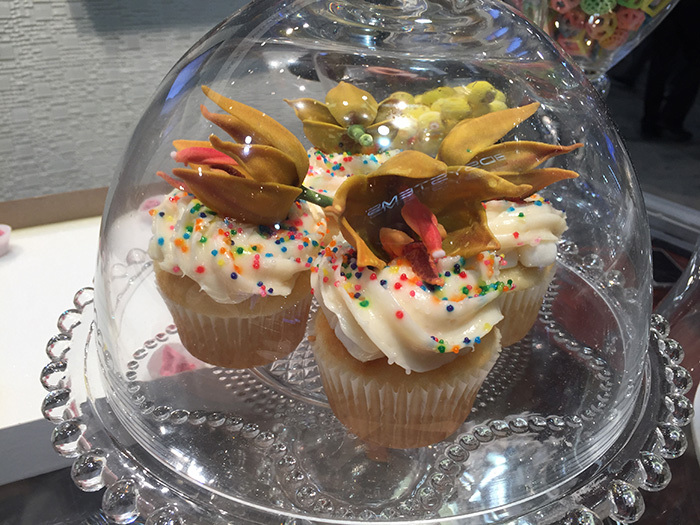 “The auction is essential to the kinds of things that are going on downstairs on the show floor,” he added. Wheeler said the upcoming spectrum auction is an opportunity for broadcasters to rethink how they want to do their business. The Honorable Tom Wheeler, Chairman Federal Communications Commission. Federal Trade Commission Chairwoman Edith Ramirez focused on the need to protect consumer privacy in an IoT era. Unmanned Systems Bring Support and Communication When Disaster Strikes. Ramirez added that companies should be transparent about their data practices and offer consumers opt-out choices. “Consumers are willing to share information if they can be assured about what that information is being used for,” Ramirez said. She also discussed the FTC’s recent workshop on the sharing economy and the Commission’s plans to release a report on the sharing economy this spring. 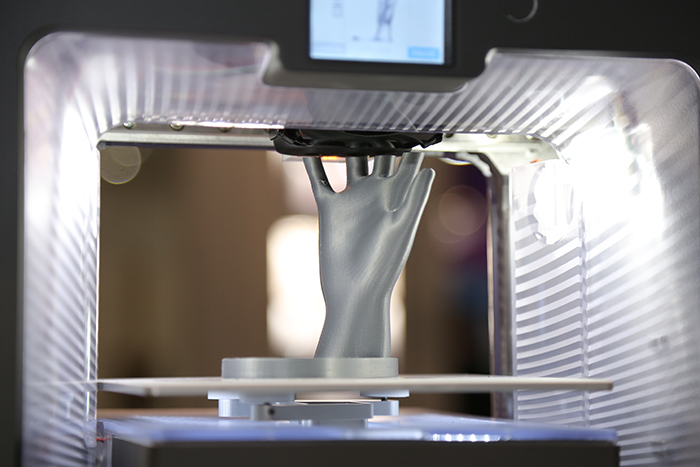 Network of Volunteers are 3D Printing Superhero Hands for Kids. Wednesday’s SuperSession, An Inside Look: Industry Innovators and Government Join Forces, featured U.S. CTO Megan Smith, White House OSTP, and Tom Kalil, deputy director for policy, White House OSTP. The panel highlighted five key factors that are making the difference and driving innovation in cities across America: the Maker Movement, TechHire, diversity, smart cities and the Presidential Innovation Fellowship (PIF) program. Smart home technology is improving our lives. The presentation included representatives from Autodesk, Telegraph Education and Pinterest to explain how various OSTP initiatives are helping to create greater access to technology and other valuable resources. Marina Martin, CTO of the Department of Veterans Affairs, also joined on stage to explain how the PIF program inspired her to leave the private sector for a greater cause. “My experience working for the federal government is that, as civil servants, they want to build a bridge,” said Martin. For more information on the programs discussed during the presentation, visit wh.gov/CES2016. CNET Editors-at-Large Brian Cooley and Tim Stevens explored the future of how we interact with machines and computers and the relationship between devices and people with a panel of linguists, artificial intelligence specialists and big-name industry experts at the Next Big Thing: Is Typing Dead Supersession. Marcus Behrendt, head of user experience, BMW Group, Wendy Ju, executive director, interaction design research, Stanford University, Dr. Pattie Maes, Professor, MIT Media Laboratory, MIT and Vlad Sejnoha, CTO, Nuance debated what’s next when it comes to human and device interaction across various use-case scenarios. The panel discussed advances in voice and gesture control, but agreed that the ultimate future for communication may lie in biometric tech where the objects around us can sense bio-feedback and respond according to mood, mental state, physical activity, etc. A future where just “being” is all you need to communicate. The C Space Storytellers conference track explored the unique relationship between content, technology and the art of innovation. The day-long program featured executives from global brands including AOL, Facebook, GE, LinkedIn, Pandora, Salesforce and Target, as well as artist, entrepreneur and TV host Nick Canon. Topics discussed included the importance of furthering innovation through strategic partnerships; the global shift to mobile; creating and maintain healthy brands; building consumer engagement and the future of content delivery. 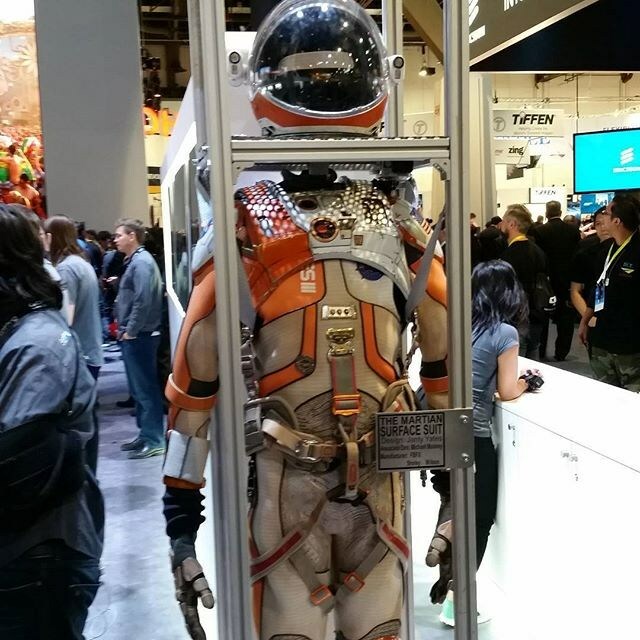 CES 2016 runs today through Saturday, January 9. For the latest CES product announcements and breaking news, visit CESweb.org. CES is the world’s gathering place for all who thrive on the business of consumer technology. It has served as the proving ground for innovators and breakthrough technologies for almost 50 years - the global stage where next-generation innovations are introduced to the marketplace. 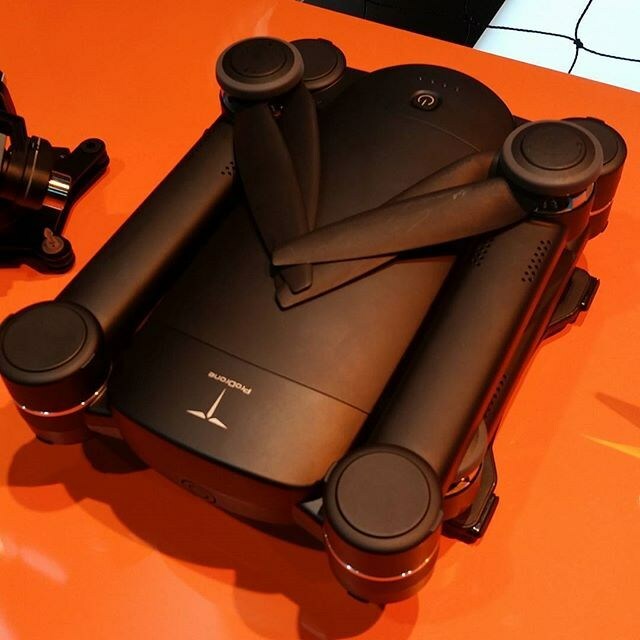 As the largest hands-on event of its kind, CES features all aspects of the industry. And because it is owned and produced by the Consumer Technology Association (CTA)TM – formerly the Consumer Electronics Association (CEA)® – the technology trade association representing the $287 billion U.S. consumer technology industry, it attracts the world’s business leaders and pioneering thinkers to a forum where the industry’s most relevant issues are addressed. Check out CES video highlights. Consumer Technology Association (CTA)TM, formerly Consumer Electronics Association (CEA)®, is the trade association representing the $287 billion U.S. consumer technology industry. More than 2,200 companies – 80 percent are small businesses and startups; others are among the world’s best known brands – enjoy the benefits of CTA membership including policy advocacy, market research, technical education, industry promotion, standards development and the fostering of business and strategic relationships. Gary Shapiro, president and CEO of the Consumer Technology Association. CTA also owns and produces CES® – the world’s gathering place for all who thrive on the business of consumer technology. Profits from CES are reinvested into CTA’s industry services.